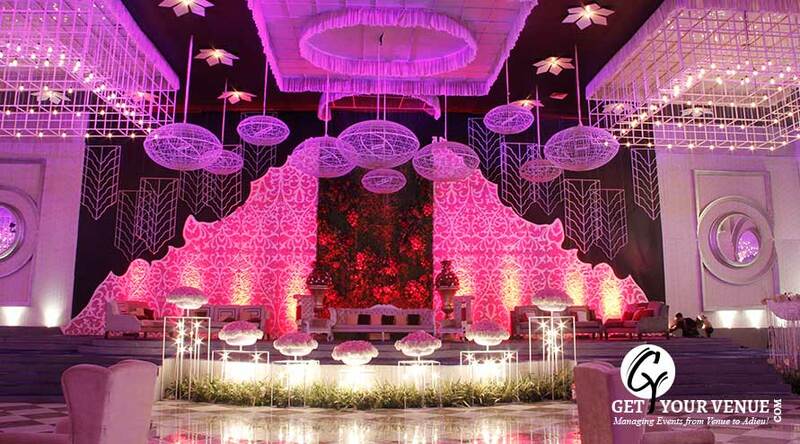 With all modern amenities and world-class services, The Ritz by FNP Gardens is perfect for birthdays, weddings as well as pre-wedding ceremonies. 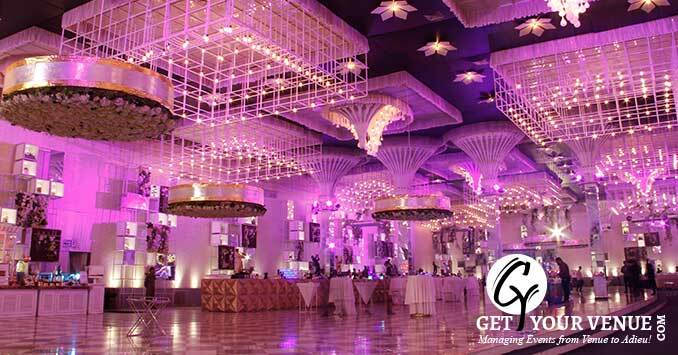 Here are the key features of this beautiful banquet hall in Dwarka. 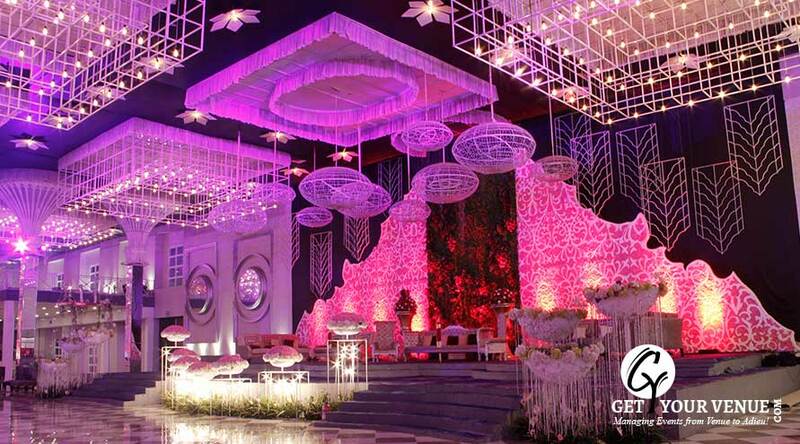 Situated at The Ambience Island, Gurgaon, The Ritz by FNP Gardens is a premium property on the NH8 belt, that’s perfect for signature weddings. 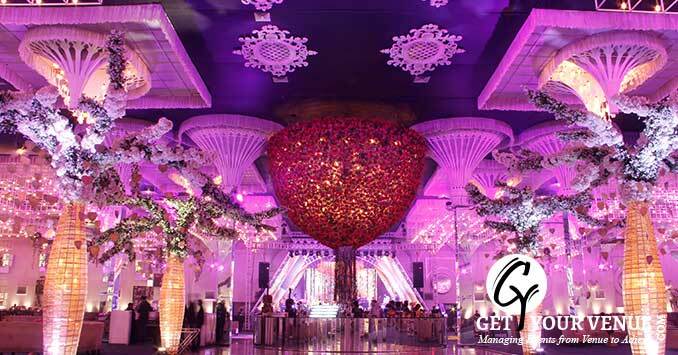 One of the biggest wedding venues in South Delhi, its spread over a vast 50,000 sq ft area and comprises of a large hall and an enormous parking space. Its French renaissance inspired decor blends with the gothic architecture and a neutral color scheme and together makes for a spectacular sight. With lustrous chandeliers, rich tapestry, tall pillars, elegant decor and a proportionate structure, the place exudes grandeur and magnificence. 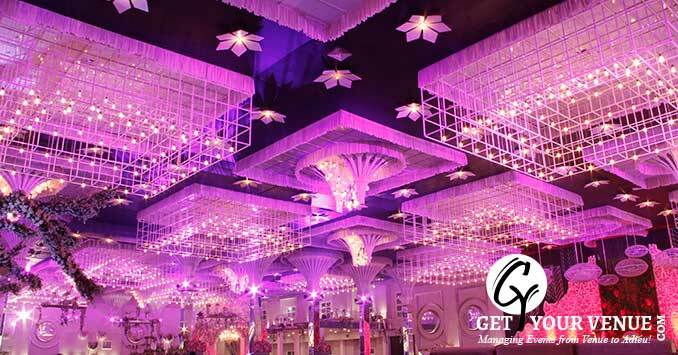 The venue is a short trip from Gurgaon, Dwarka, and South Delhi. Moreover, being close to the Delhi airport it offers convenience to non-Delhiite guests. 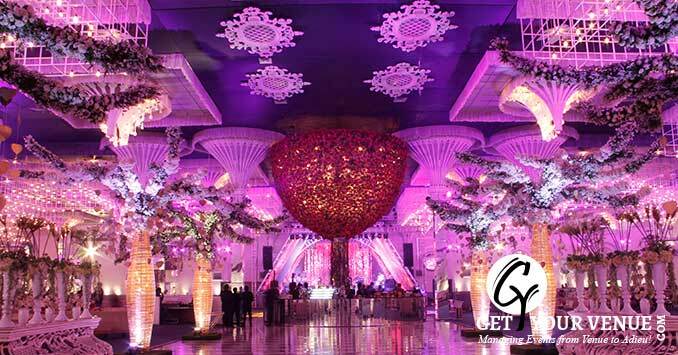 A well-crafted venue that is embellished with the luxurious, state-of-the-art decor, The Ritz by FNP Gardens aims to make your weddings the most picturesque and opulent affair. 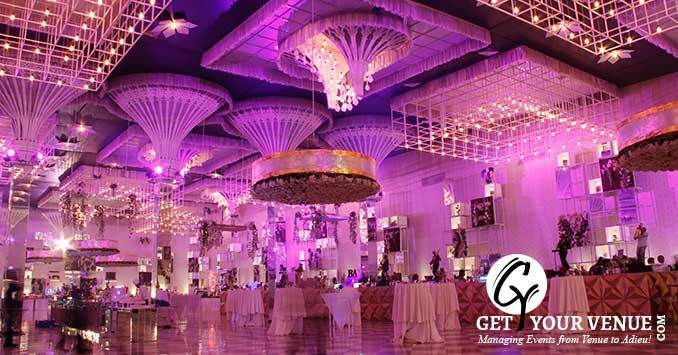 Banquet hall – With an area of 52,000 sq ft that can entertain a gathering of 2500 to 4000 guests, this is one of the biggest banquet halls in South Delhi. 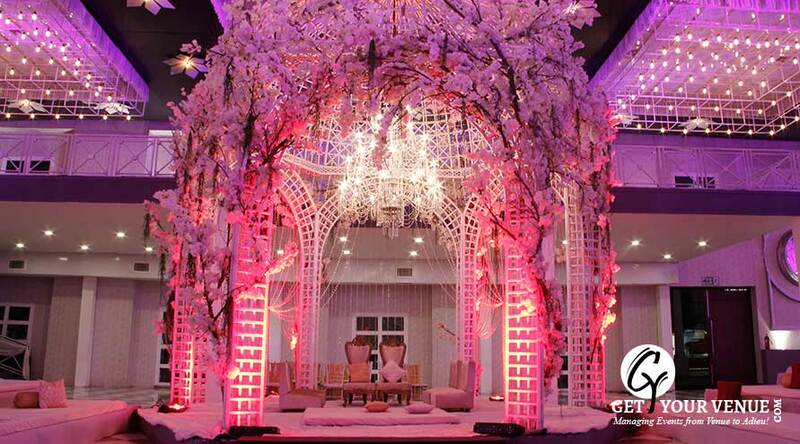 Rest assured any big event can be easily accommodated here - be it a wedding function, cocktail party or an engagement ceremony. To book this venue, kindly fill out our inquiry form or call 9650584499. Our sales team will take care of the rest.